E-learning promises to improve the learning process through the application of technology, including portal technology. Portals can provide the personalisation and interactivity functionality that e-learning requires. However, the long-held promise that technology will improve learning has often failed to deliver. 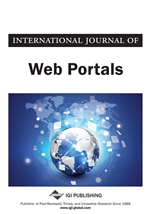 This paper examines the promise of this technology and compares the specific demands of e-learning to the actual capability of portals and the underpinning Internet and World Wide Web. It then identifies four “costs” of using technology for e-learning, and points to existing project management tools that may minimise the effect of these “costs”. The immediate goal is modest, while the promise is large: improve the quality of technology available for teacher and student use; this will improve the overall effectiveness of education. From an enterprise perspective, many information technology projects appear to follow the same logic: install a program or portal for electronic learning or knowledge management and it will ‘make a difference’. Evidence for this is ambiguous. McKinsey Global Institute (2001) reviews technology and fails to find evidence that spending on information technology per se leads to an increase in productivity, but rather is part of a complex and not fully understood process. Specifically, information technology investment may fail to raise productivity, or as in the case of retail banking may lead to less improvement than expected. In an application such as industrial process control or a financial spreadsheet, where tasks are clearly defined and IT systems complete them more quickly and accurately than people, then it is likely that the technical outcome will be approximately what was expected. Even here the change management implications (change to work practices, the organisation’s structure, training and hiring practices, and the organisation’s informal culture) may be extensive and unexpected. When we come to less clear goals such as learning or knowledge management the relationship is far less clear. This paper examines a range of expectations or hopes that technology is currently promising to e-learning. It then examines underlying Internet, World Wide Web, and portal technology characteristics to point to gaps between the expectation and the inherent technology capability. The effect of these gaps is shown to be an ongoing challenge in the application of technology to requirements. It then suggests that tools of project management can reduce the dissonance between technology promises and e-learning needs. This work builds on research into the unexpected results of Internet investment (Adamson, 2004). This work is multi-disciplinary, but takes a primarily technological view of the challenges of e-learning. The promise list for e-learning infrastructure is long. The following is a typical set, drawn from a recent e-learning conference call for papers by the Interactive Computer Aided Learning (ICL, 2010), with a description of each topic added.